Without the expenses of a bricks-and-mortar shop, smaller independent brands can set up and start trading with ease, giving us access to a wider range of chic boutiques than ever before. The growth of online shopping also means that we can buy from brands that are based abroad, many of which have introduced international shipping at competitive prices to attract a global customer base. 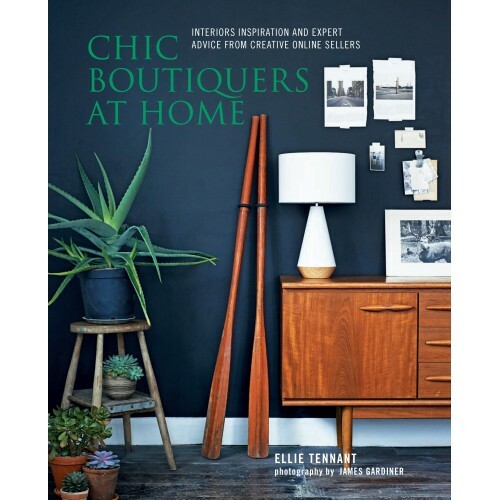 In Chic Boutiquers at Home, interiors journalist and stylist Ellie Tennant meets the characters and creative forces behind leading online stores around the world, from the US to Europe, and explores their beautiful homes in a series of inspiring case studies. 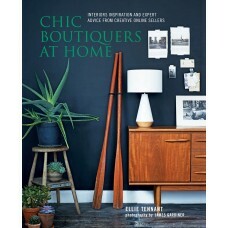 The result is part-decorating book, part-shopping directory - a smorgasbord of fascinating interiors from a new generation of online style gurus who do much more than just sell homewares - they inspire and delight their customers, too, offering glimpses into their gorgeous homes and covetable lifestyles. Packed with plenty of ideas to use in your own home and a wealth of tempting new shops to explore, this is the perfect book for browsing but, if you dream of selling online yourself, the final 'How to Launch Your Own Online Shop' chapter is crammed with invaluable practical advice, comparing popular platforms such as Big Cartel and Etsy and containing advice from the online shopkeeper experts as well as plenty of insider top tips. Now we can shop and sell for our homes wherever we want, whenever we want.